Something about the phrase “skin stretched over a skull” gives me the willies, but to IDC, makers of the SuperSkin helmet, it just means good safety. The SuperSkin helmet, to be made by Lazer Helmets, imitates the natural flexibility of our own anatomy, a lot like BMW’s shape-shifting GINA car. This helmet allows a thin outer layer to move somewhat freely over a harder inner layer, thanks to some lubrication between the layers. The idea is that while typical helmets protect only against one type of straightforward impact, they ignore rotational impact, which can twist the neck and cause just as much injury. Instead, the SuperSkin helmet provides a little give, protecting the head while allowing for a more natural response to blunt head trauma. form a protective layer across the surface of the helmet. State-of-the-art vacuum casting was used to create prototypes and the materials tested for resistance and strength. The chosen synthetic stretched up to eight times its original length. 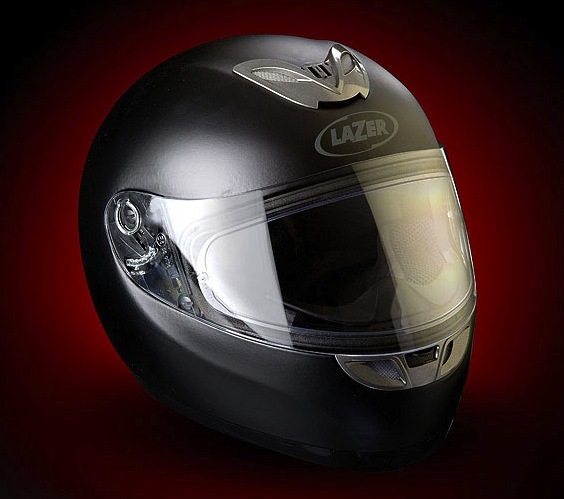 SuperSkin will hit the market this summer under the Lazer Helmets brand, in either the full-face Solano (about $315) or the open-face Rider (about $235).